My daughter Melody recently moved into her first college apartment which she shares with her lovely roommate. All summer long, Melody was on the hunt for inexpensive furniture, lamps and accessories. 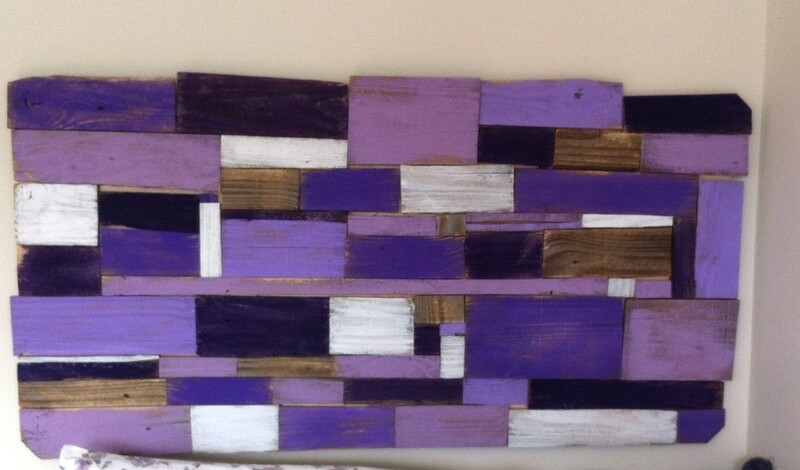 Since she loves old wood as much as I do, she wanted to create a similar piece of art I recently put together. So I hauled out the old wood, cut a few pieces, and let Melody do the rest. She went with a purple color scheme to match her comforter. I love how it turned out. 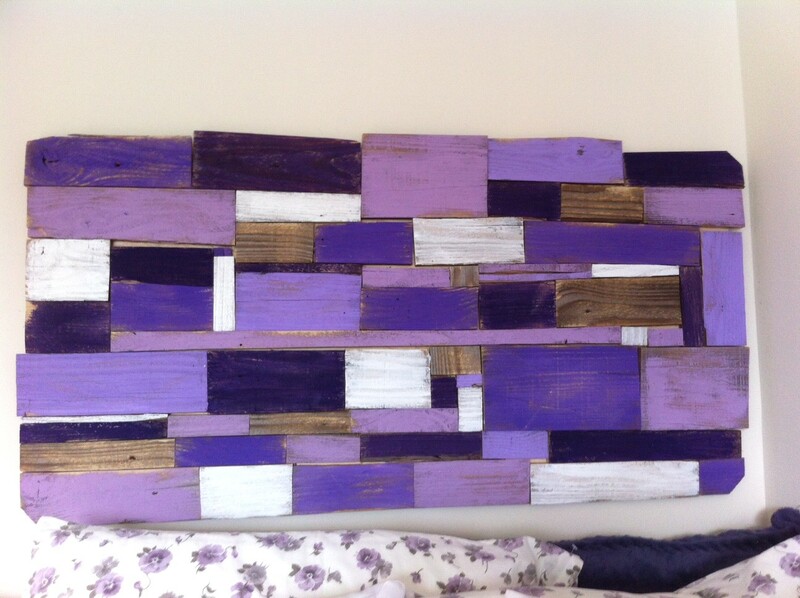 It adds color and texture to her room. The best part, it didn’t cost her anything. The wood was free and we still had some acrylic paint on hand. Good job, Melody! Wow, that looks great, and I love the color! Thank you, Christine. Appreciate your comment! Thanks for stopping by. This is such a cool piece! Now I want to find some wood and make my own! Thank you! You know, it’s really easy to make. Have fun with it! Really pretty! 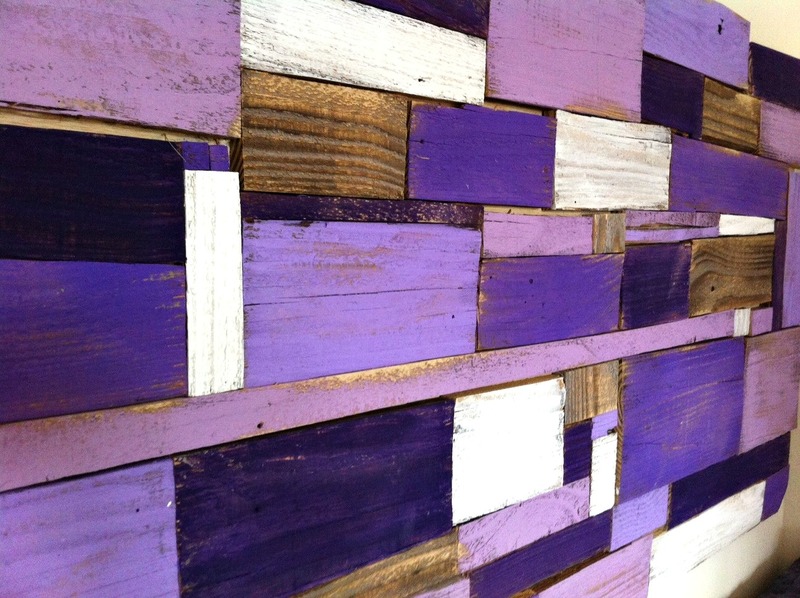 I love purple and the rustic wood. Thanks, Carmody. I am so glad you dropped by. Have a great week! Thanks, Bethany. This would be great for a boy’s room. Perhaps gray, navy blue, some orange? Cute idea! 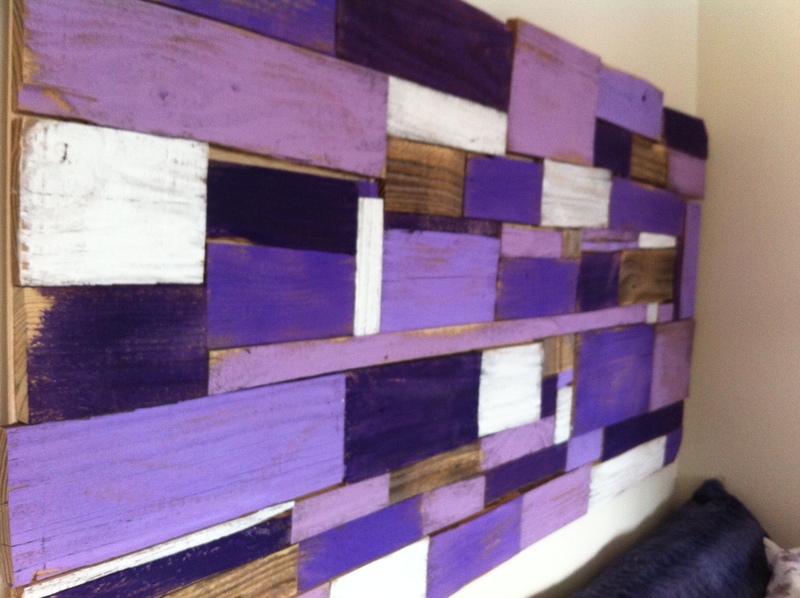 Purple is not my colour but I love old wood and you and your daughter did a great job! Hi Ronja. It’s so nice to have a blog visitor from Germany. Glad you like the wood art. Have you checked out my blue /yellow version of this project (http://mominmusiccity.com/diy-wall-art/)? Have a great week! Tori, thanks for featuring my daughter’s wall art. Have a great week!